The metabolic biomarker “Faecal M2-PK” is a screening parameter for colorectal (bowel) cancer and polyps and is independent of “Faecal Occult Blood” (FOB). The ScheBo® • Tumor M2-PK™ Stool Test is a totally new approach for bowel cancer secreening tests. Previosly, only non-specific tests for blood in the stool could be used to give an indication of an existing bowel cancer or its precursors. With the new ELISA method for M2-PK in the stool it′s now possible to detect bleeding or non-bleeding bowel cancers, as well as polyps. The test is not dependent on occult blood. Sandwich ELISA with two monoclonal antibodies highly specific for human M2-PK. 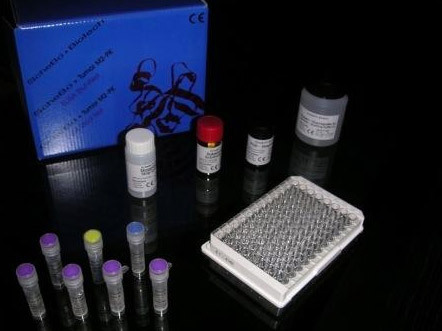 The ELISA kit is based on a microtiter plate (96 well format) with 12 single strips x 8 wells suitable for up to 42 samples in duplicate. ScheBo® • Tumor M2-PK™ Stool Test for the quantitative determination of M2-PK by healthcare professionals.